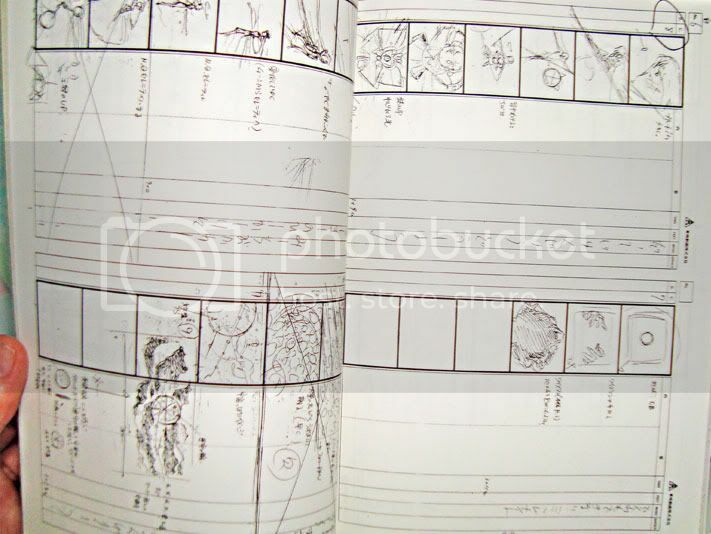 Thursday, June 3rd, 2010 at 10:12 PM	|| Sailor Moon Books, Sailor Moon Doujinshi. The animators released this book independently from Kodansha and Toei Animation, through a doujinshi publishing company named Hyper Graficers. The animators basically brought their work to Hyper Graficers, who helped designed the book, and published it. By doing this, it acknowledges that the works presented in the periodical was authored by the actual authors. Self-publication is the embodiment of the term "doujinshi." 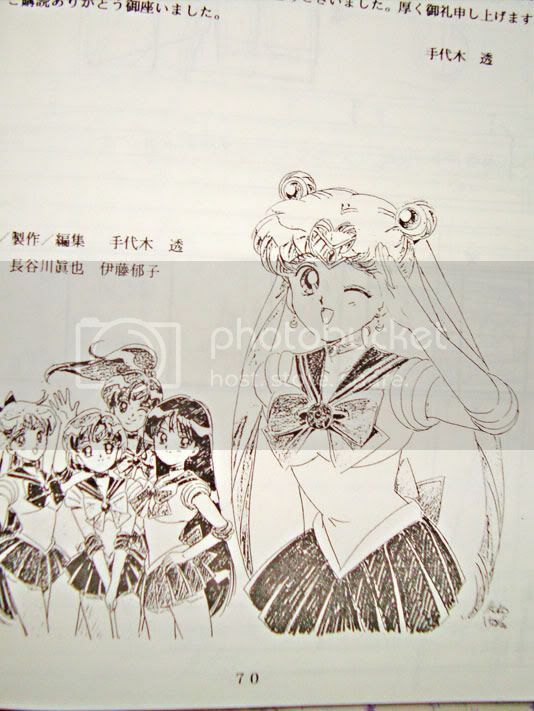 Even Takeuchi Naoko’s rare and popular Sailor Moon Infinity Artbook is considered a doujinshi, because it was a self-publication by her away from the official franchise of Sailor Moon. Selenity’s The Act of Animations is the 3rd volume from a series of four books that was released by the animators of Sailor Moon through the company Hyper Graficers. The other volumes are titled: Lunatic Soldier (4th), Small Soldier (2nd), and Soldier IV (1st). Animator Hasegawa Shinya also independently published a book titled Saraba Sailor Moon. 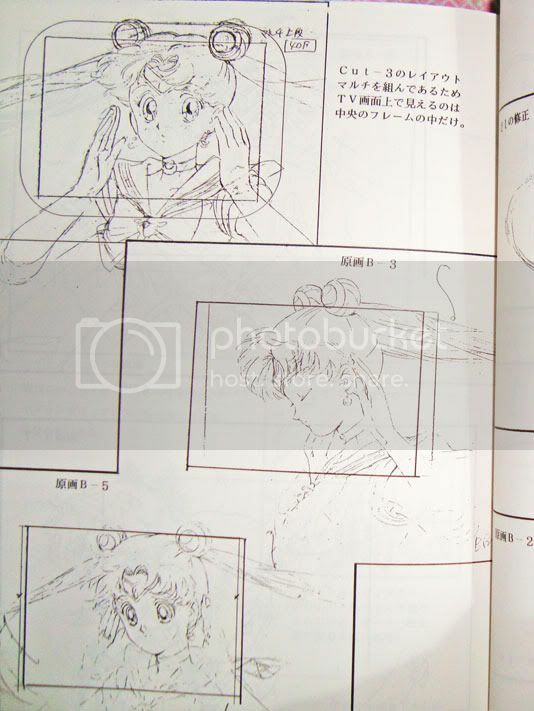 Books like Selenity’s The Act of Animations are awesome to own, because it contains so many detailed sketches of memorable scenes from Sailor Moon. It is a wonderful reference for fan artists of the series, and is a great item to add to your collection. 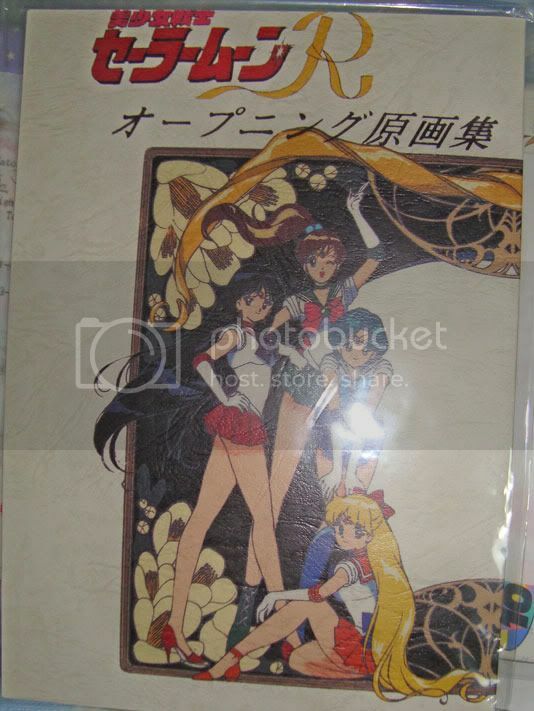 The book may be categorized as a doujinshi, but it is pretty much an official item to any Sailor Moon fan. The price for these books are high, but I’m extremely satisfied to even own one because they’re so rare. I scanned in the first half of Selenity’s The Act of Animations and uploaded it to the Gallery. I will scan in the second half of the book another time, because I’m catching up on updates and need more time. You’ll get the full book soon! Promise. yay, awesome find!! Thanks so much for scanning and sharing these, I’m eagerly waiting for them to be downloaded now ^.^ Love the anime! I didn’t even know this existed until today. What an awesome find! Thank you for sharing this with us. @ Rika-Chicchi – Wow, you guys discussed everything in there! But you’re very right. There’s a very slim possibility that its fake, but I really doubt it. These books are listed in the author’s online bios and stuff. Its pretty real. =) Man, I wish I had the other books. I want Volume 4, LUNATIC SOLDIER so so so so much. But you’re right ya know. They’re hella expensive. ;__; Can’t afford to buy ‘em. Wow! I had no idea that you guys were finally back! I remember checking this site a few weeks ago and it was still under construction, I’m glad that it’s finally back! Thanks so much for your commitment to this project, all your time and effort really paid off. I am definitely going to check this site more often now that I know it’s up and running! >__< I’m so late in responding! @ Jim – Thank you for the information and all the wonderful pictures! I honestly didn’t know about that book at all! I wonder how many more, do I not know about? @__@ Man… Anyhow, I’ll edit the blog entry a little later to add in your info! Thanks so much again! @ Rika-Chicchi – Thanks for the link to that discussion on Genvid. =D It was a really interesting read! Haha. Its like a whole debate going on in there.